Blog post by dog behaviourist Laure-Anne Visele, The Hague, cracking the old chestnut of operant versus classical conditioning and why it matters. I was preparing one of my trainers to take over from a more senior trainer who is leaving the school when it dawned on me that she had no idea what I was talking about when I mentioned operant vs. classical conditioning. I was in shock. This was a certified dog trainer I was talking to. It got me thinking. Is it really that important or was I being a science snob? It turns out it really really really (really really) is important – which doesn’t take away from the fact that I can be a huge pedant. How common is this confusion among dog trainers? It turns out it is really really really (really really) common. So what’s it about, then? Conditioning = the science of how animals (from sea slugs to us, via dogs) learn. And learning is about making connections. The opening of his tin of food predicts he’s about to be fed. The jingling of the leash predicts he’s about to go for a walk. Classical conditioning can get devilishly complicated, with the laws governing fear desensitisation/sensitisation, habituation, etc. 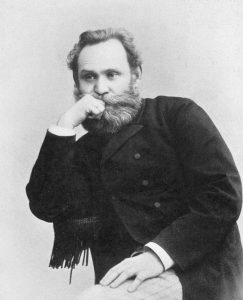 Classical conditioning is often called Pavlovian conditioning, after Pavlov’s discovery and experiments on dogs salivating at the sound of a bell that predicted they’d be fed. Barking at you (operation) gets you to throw the ball (outcome). Sitting when you ask him (operation) to gets him a food reward (outcome). Walking (operation) into the examination room at the vet’s gets him pain (outcome). 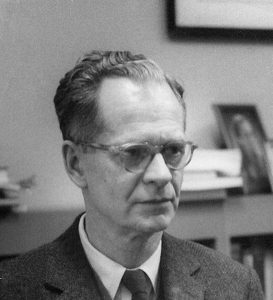 Thorndike was a pioneer in operant conditioning, but B.F. Skinner is the flagbearer. Operant conditioning too can get tricky when you fall down the rabbit hole: reward ratios, extinction bursts, the quadrants (positive/negative punishment/reward), etc. Why it matters so much in dog training? It matters enormously, as it turns out. Here are some examples. I have to know whether a problem is primarily emotionally motivated (e.g. fear). It makes no sense to hammer on trying to teach the dog a particular behaviour like sitting quietly (operant conditioning) if he is primarily motivated by fear (classical conditioning). When to implement operant counterconditioning: My dog jumps on guests because he gets attention when he does. I am going to make sure he gets ZERO attention when he jumps, and a truckload when his feet are on the ground. When to implement classical counterconditioning: My dog hates the vet’s office because it predicts pain. I am going to take him there a gazillion times and shower him with cookies there, without a trace of discomfort. It helps you understand why you can’t ‘reward fear’. You are often advised against reassuring a scared dog because it would ‘reward its fear’. This makes no sense at all once you understand Classical vs. Operant. You can’t reward a classically formed association. Here‘s why. It helps you understand the clicker (or clicker word), and how to make it effective. The clicker is a sound you make to tell the dog ‘That’s it, mate! That’s what I wanted! Here’s your reward’. You have to first classically condition the dog to the fact that the clicker sound predicts food, and then you can use it in operant conditioning, to tell the dog which behaviour (operation!) is the one yielding the reward. But do you know what? I am a huge science snob and that stuff is fascinating and fundamental for its own sake. 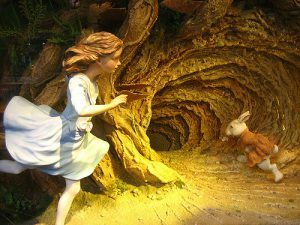 That’s why I’ve prepared a little reading list for you to go down the rabbit hole. Enjoy getting lost in the fascinating world of learning theory! Benal, 2011: Dog Trainer’s Complete Guide to a Happy, Well-Behaved Pet. Book (for the layman) about many aspects of dog behaviour and dog training, including conditioning. Donaldson, 2005: Culture clash. Book (for the layman) about many aspects of dog behaviour and dog training, including conditioning. Reid, 1996: Excel-Erated learning. Book (for the layman) about operant conditioning in animals, with a focus on dogs. Visele, 2012: Dogs, the art of intelligent punishment. Blog post on the conditioning aspects of punishment. Ivan Pavlov: downloaded from Wikipedia, no modifications made. License: Public Domain. Skinner at Harvard ca. 1950: downloaded from Wikipedia, no modifications made. License: CC BY 3.0. This entry was posted in Dog behaviour, Dog training, Science and tagged classical conditioning, classical versus operant conditioning, dog behaviourist the hague, dog training, dog training the hague, hondengedragstherapeut den haag, hondentraining, hondentraining den haag, operant conditioning, pavlov, quadrant, skinner. Bookmark the permalink. Post a comment or leave a trackback: Trackback URL. You are here: Home » Canis blogus » Dog training: classical versus operant conditio-what now?